2014 1040 Tax Return (Basic). This form will automatically calculate your taxes after you enter your information (includes Schedule A - Itemized deductions). 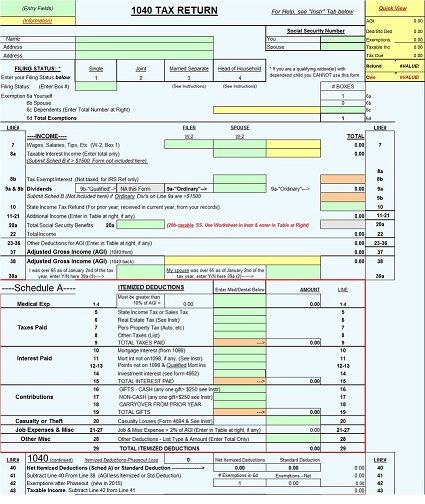 For more complex returns use My1040-Full14.xls (Includes Schedule D & additional forms).